It’s summer time and let’s face it, Summer can get hard with kids falling out of their routines and habits they created during the school year. 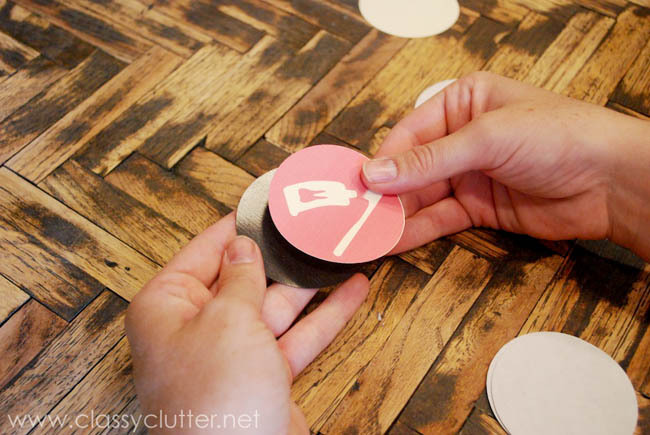 This DIY Magnetic Chore Chart is super easy and really effective for kids! First, you’ll need your Silhouette Shapes. The cool thing is that with the Designer software, you can purchase shapes and alter them to be exactly what you need. The possibilities are really endless with the Designer Edition software. If you don’t have it already, you need to get it asap! You can purchase it here. We used these two chore chart shapes: Shape 1, Shape 2. 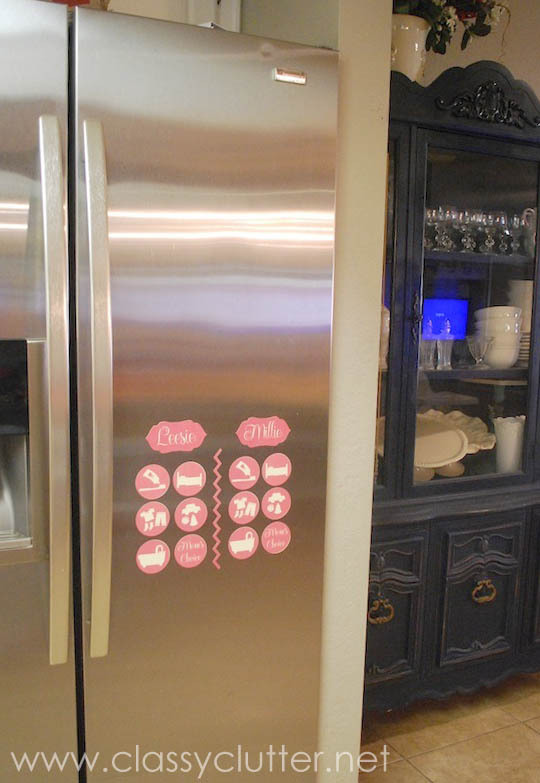 There are a few more but these are the ones we chose that suited the needs of our children’s age/skill levels when it comes to chores and responsibilities. Next, you’ll design you “chore” images to your linking. We loved the look of the colored background with a white “chore” image. 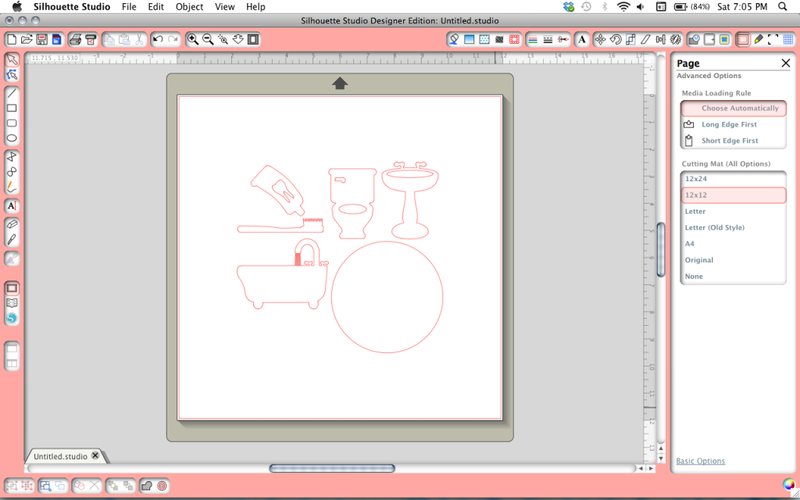 For this part, don’t forget to have your circle background image set to “Cut” and your shapes (toothbrush, toilet, etc.) set to “no cut”. We also changed the line color to white so there wasn’t red outline. PS. 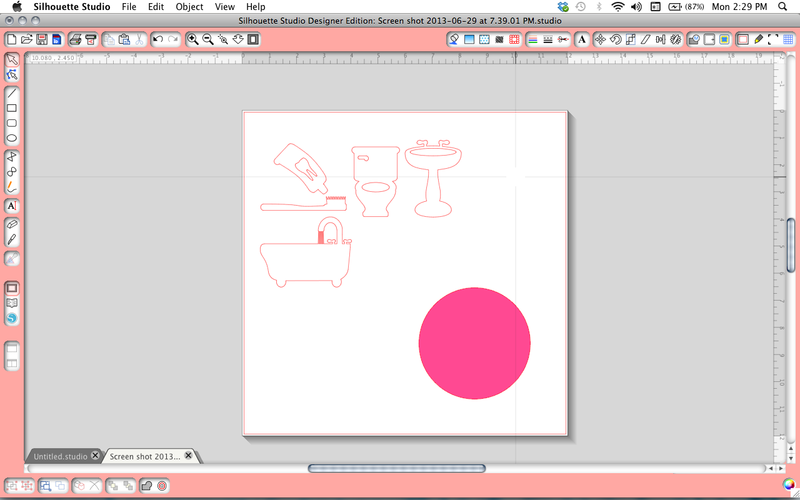 The new crosshairs feature on the Designer Software is awesome for making sure everything is totally lined up and even. Sometimes “eyeballing” it doesn’t work so well with digital design. 😉 If you’re unfamiliar with the software, check out this video to see what I mean. Next, you’ll print and cut your designs. Make sure you have your “print registration marks” checked and print out your images. Then, using regular cardstock, you will print out your design. Once printed, you will feed your cardstock (on your mat) back into your Silhouette and it will scan for the registration marks and cut your design. Then, repeat the cut with the magenetic paper. 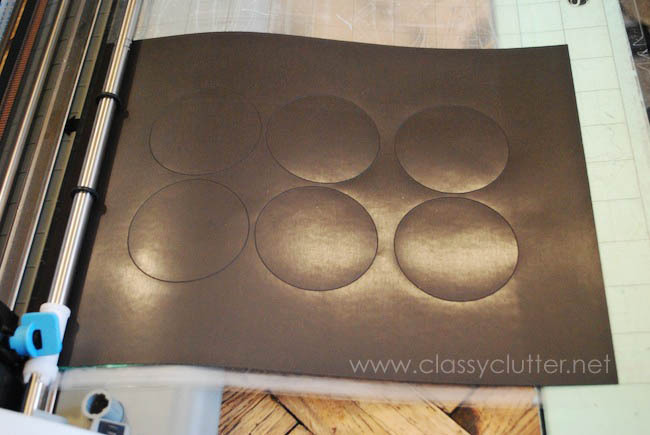 One side is coated with adhesive so once it is cut, you will simply peel off the backing and adher the cardstock to the magetic paper. Finally, attach it to your refrigerator! Is that not the cutest dang chore chart you ever did see? We love it! It’s so perfect for the kiddos at this age. Heck, kids at any age! Wanna make your own?! 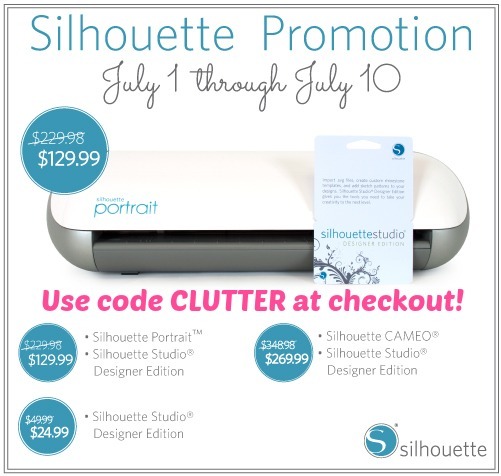 Silhouette is running an incredible promotion right now and you can get your own for a smokin’ deal!! We’re also in love with the Designer edition software and if you’re going to have a Silhouette, the software is a MUST! Right now through July 10th, you can get any of the following deals by entering CLUTTER at checkout! – Silhouette Studio Designer Edition Software for $24.99 <<< If you already have a Silhouette, you need this one pronto! I love these chore charts! Very simple and clean looking! This is awesome!!! I think you’ve just given me an excuse to buy one!!! 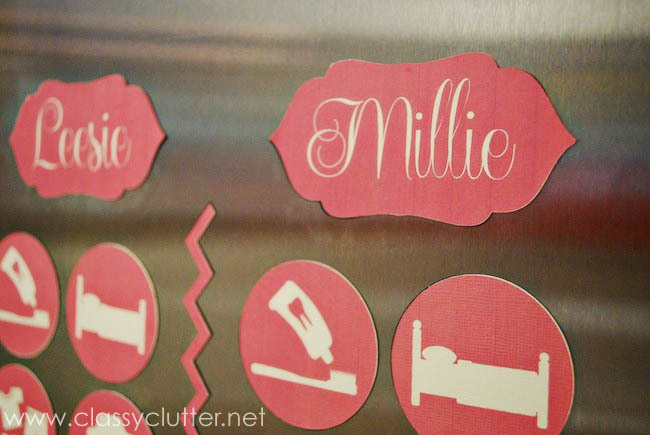 I love your chore chart and anything that uses a Silhouette! Would you mind if I included this chore chart in a roundup? It would be one picture and a link back to you.